W. W. Norton & Company, 9780393323245, 302pp. Mosquitoes in Hawaii, sea lampreys in the Great Lakes, mountain goats in the Olympic Mountains of Washington State not one of these species is native to the environment in which it now flourishes. 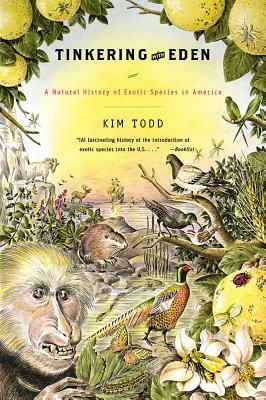 Kim Todd's "Tinkering with Eden" is a lyrical, brilliantly written history of the introduction of exotic species into the United Sates, and how the well-meaning endeavors of scientists, explorers, and biologists have resulted in ecological catastrophe. Todd's assured voice will haunt her readers, and the stories she tells such as the druggist who brought starlings to America because he wanted the landscape to feature every bird mentioned by Shakespeare will forever change how we see our increasingly afflicted landscape and its unanticipated inhabitants.